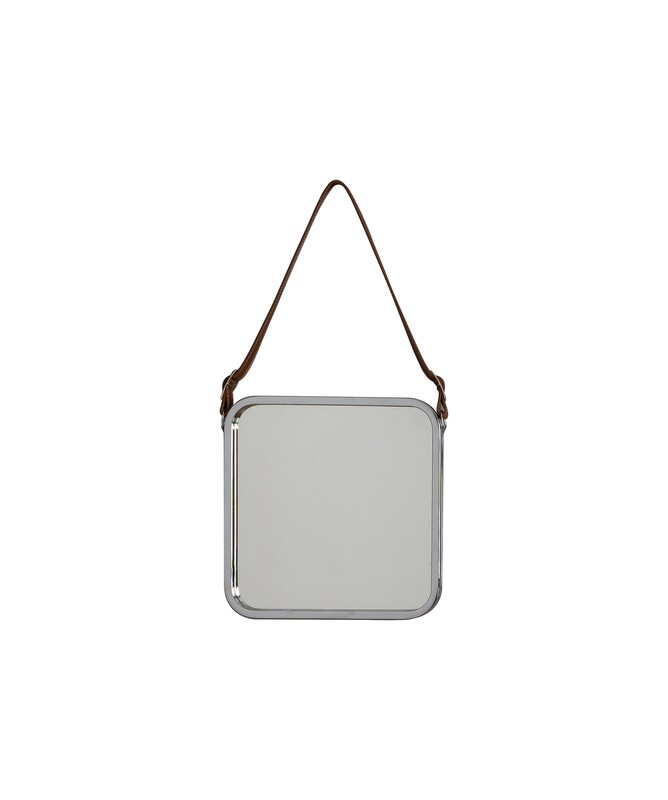 Get the latest mirror trend with this stylish square mirror with a chrome metal finish tube and leather strap. This square industrial look mirror will update your existing décor. This trendy mirror will be the perfect add to your hallway, bedroom or living room or bathroom. You can decorate with several mirrors to create a mirror gallery wall. It will look amazing!